Health minister Greg Hunt has begun the process of seeking parliamentary approval for private health insurance reforms. Mr Hunt announced the reforms in October last year. 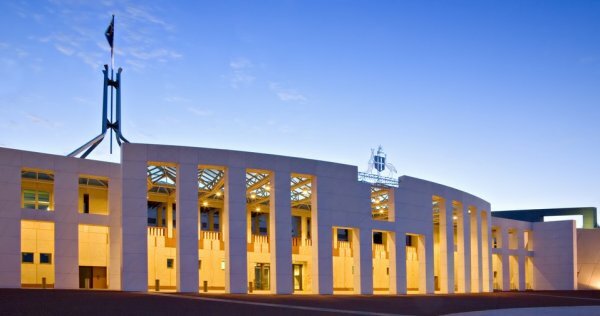 He introduced three Bills to the House of Representatives yesterday: Private Health Insurance Legislation Amendment Bill 2018; A New Tax System (Medicare Levy Surcharge-Fringe Benefits) Amendment (Excess Levels for Private Health Insurance Policies) Bill 2018; and, Medicare Levy Amendment (Excess Levels for Private Health Insurance Policies) Bill 2018. "Last October, I announced the most significant package of private health insurance reforms in over a decade to make private health insurance simpler and more affordable for Australians. The reforms will help strengthen the viability of the private health system by addressing concerns about affordability, complexity and lack of transparency of private health insurance," said Mr Hunt. "The private health insurance reform package was the result of extensive consultation, including through the Private Health Ministerial Advisory Committee and with a wide range of organisations representing service providers, hospitals, insurers and consumers. "The reform package has already resulted in lower premiums for consumers. From 1 April 2018, health insurance policyholders will face an average weighted premium increase of 3.95 percent; the lowest premium change in 17 years—lower than any year under the ALP's previous government by a considerable margin." The Private Health Insurance Legislation Amendment Bill 2018 includes a range of changes, including allowing discounts of up to 10 percent for people aged under 30. It also strengthens the powers of the Private Health Insurance Ombudsman, by giving it the power to inspect and audit health funds, and allows insurers to cover travel and accommodation costs as part of a hospital product. It will also remove the use of 'benefit limitation periods' and, in doing so, ensure consumers with policies impacted by the change are protected from having to repay the rebate and are not retrospectively liable for the Medicare levy surcharge or lifetime health cover loadings. The two other Bills introduced by Mr Hunt will increase the maximum permitted excesses for private hospital insurance from $500 to $750 for singles and from $1,000 to $1,500 for couples/families. According to Mr Hunt, "Changing excess amounts to allow increased excesses of $750 for singles and $1,500 for couples and families will mean insurers can offer lower premium prices, improving affordability for consumers. Importantly, consumers can choose - and I emphasise 'choose' - a higher excess in return for lower premium costs. It is a matter of choice for them which will be available. This will be the first time the opportunity to choose higher excesses in return for lower premiums has been increased since 2001."